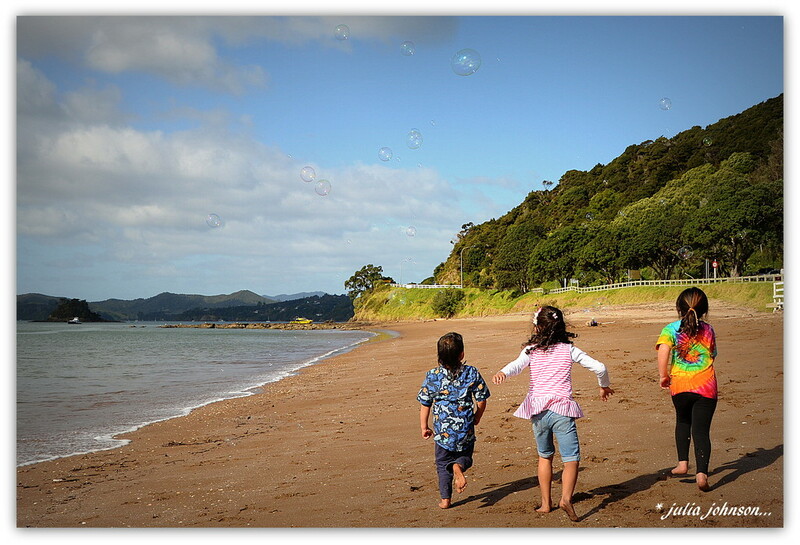 A few weeks ago I travelled to the Bay of Islands to do a photo suitable for the new hospital that was being built in the area, they were wanting a shot depicting children having fun and showcasing the local area.. They had some local children that would be my models... What a great bunch of kids, we had a lot of fun and this is the shot that was chosen to be enlarged and presented on aluminium.. I have been told it looks stunning and Aubrey ( the one in the middle) cried when she saw it .. The Hospital had it's official opening over the weekend so I can now share the photo..
A fabulous shot of what must have been a fun day for all. How exciting for you and a fabulous shot. You will have to go back again and have your photo taken next to the photo. A few years ago one of David's train photos was a winner at the Maitland Steamfest and his photo was enlarged on aluminium and now stands on Maitland Railway Station along with the 9 other winners. I took his photo next to his winning picture too. Is this in Pahia! Aluminium - must be fabulous - need lots of light contrast for that! @onewing Yes I plan to go up and see it for myself .. Would of liked to have gone up for the opening but couldn't make it this time .. @maggiemae Photo was taken at Paihia but the hospital is in Kawakawa ..
A really nice image to have in the kids' ward at the hospital. Well done you! That is a very lovely shot. This is SO special Julia! Lovely, lovely image, and congratulations! @jamibann Thanks Issi I am pretty chuffed..
Oh my what an honor. Congratulations! Aubrey knows beauty when she sees it, how very dear of her to be so touched by your work. Aren't you just the clever one Julz. This is perfect for the purpose and an excellent shot in its own right too.